Ofcom’s Damian Radcliffe produces a regular round-up of developments in hyperlocal publishing. In this guest post he cross-publishes his latest presentation for this summer, as well as the background to the reports. Ofcom’s 2009 report on Local and Regional Media in the UK identified the increasing role that online hyperlocal media is playing in the local and regional media ecology. That was two years ago, and since then, this nascent sector has continued to evolve, with the web continuing to offer a space and platform for community expression, engagement and empowerment. The diversity of these offerings is manifest in the Hyperlocal Voices series found on this website, as well as Talk About Local’s Ten Questions feature, both of which speak to hyperlocal practitioners about their work. For a wider view of developments in this sector, you may want to look at the bi-monthly series of slides I publish on SlideShare every two months. Each set of slides typically outlines 20 recent hyperlocal developments; usually 10 from the UK and 10 from the US. 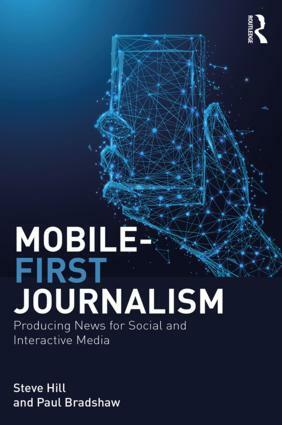 Topics in the current edition include Local TV, hyperlocal coverage of the recent England riots, the rise of location based deals and marketing, as well as the FCC’s report on The Information Needs of Communities. Feedback and suggestions for future editions – including omissions from current slides – are actively welcomed. This entry was posted in newspapers, regulation, social media, television and tagged 02, advertising, AOL, BBC, community, Community Channel, copyright, Damian Radcliffe, DCMS, deals, facebook, FCC, foursquare, google, Groupon, Hyperlocal, InJersey, jeremy hunt, Johnston Press, journalism, Knight Foundation, local newspapers, NLA, Patch, riots, social media, social networking, STV, Tackable, Tindle, web 2.0, Yell on September 15, 2011 by Paul Bradshaw. National UK newspapers had 1,471,936 Twitter followers at the start of September – up 213,892 or 17% on August 1 (when they had 1,258,044 followers). You can see the September figures (orignally posted here) below or here. I have more Twitter statistics here. 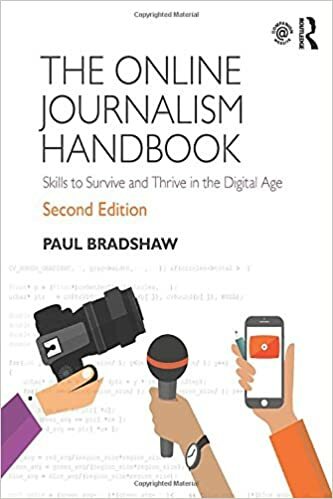 This entry was posted in online journalism, television, user generated content and tagged daily mail, FT, Guardian, Independent, social media, social networking, Telegraph, the sun, Times, Trinity Mirror, twitter on September 2, 2009 by Paul Bradshaw. The Huffington Post went social yesterday. Well, more social than it already was. Personalize, personalize, personalize, said the world of Web 2.0 to news organizations, and they did. Last year, the New York Times came up with TimesPeople, so users could recommend their favorite articles to other readers, and post links directly to social networks such as Facebook. The Washington Post launched MyWashingtonPost, which basically functions like a glorified RSS feature. MyTelegraph, perhaps the most impressive customization service from a newspaper, allows people to set up profile pages, form elaborate networks with fellow readers, and even blog on the Telegraph’s site. Almost ever since Salon started bought the then-groundbreaking “Well” online community in the eighties, new media entities have been about building online communities around their sites. And news organizations realized–albeit slowly–that the best way to build a loyal reader base online was to not only connect to their readers, but also to connect their readers to other readers. As J.D. Lasica noted way back in 2002, personalization is–and should be–an intrinsic feature of the Internet medium. In a world where every news site is offering almost the same kind of information (with few exceptions) and cutting-edge multimedia technology, what can make one Web site special? The people, and the ability connect with other people. “By recognizing the importance of serving hundreds of different readerships simultaneously, online publications are moving toward a higher order of individualized news. No longer can they afford to treat readers as undifferentiated, generalized, lumpen masses,” Lasica wrote in a related piece. TimesPeople and MyTelegrpah, while admirable ideas in their own right (especially for news Web sites that started by looking like near facsimiles of their print versions), however, come with the requirement that people spend plenty of time on the site, picking their favorite stories, sharing their views on those stories, and connecting with people that might like the same stories. The Huffington Post is taking this one step further by teaming up with Facebook, linking readers to their Facebook friends, and allowing users to publish their Huffpost activities on their Facebook walls. Like all the personality tests they take and crops they plant in Farmville weren’t enough! But there is some advantage to this. It comes close to the concept of integrating online identities and bringing them to one place: the universal sign-in and network portability that many Internet pundits have insisted should be implemented in order to allow cross-interaction among various social media platforms. Most personalized news features allow readers to search for their Facebook friends or Twitter followers, but they don’t offer a way to actually integrate the two networks. Consequently, this involves exclusively spending time on the newspaper’s Web site to form a community or interact with fellow users. Now, if you had a choice between spending a few hours on MyWashingtonPost or Facebook, which would you choose? And how many different media sites do you want to sign into at the start of your day? Hell, I’m just glad TweetDeck allows me to keep track of Facebook and Twitter in one place. And the number of new visitors a page would gain from linking to Facebook would probably offset the time spent by a single user on the site itself. TimesPeople does allow users to sync up to their Facebook profiles, but in keeping with the NYT’s prioritization of “information” over social networking, the site does not allow users to have much more on their profiles than a name and a location. HuffPost Social news is also quite a leap from news organizations generating noninteractive Facebook pages that merely feed fans with links to their latest stories (the same counterproductive way in which many use Twitter), with readers occasionally discussing stories of interest to them on discussion boards. Of course, as with anything else, there are two schools of thought about such personalization, customization, individualization of news consumption. Some believe that it might fragment an already fragmented audience in the new media world. But, if anything, integrating Web site audiences with social networks should help consolidate these virtual and real communities. Chances are, many of your Facebook friends are people you know–and have known—in real life, in contrast to the exclusively online people you interact with on blogs and discussion forums. This is a way to bring those groups together, defragment the so-called “online-offline” divide. Many of the causes I’ve signed up for on Facebook, for instance, are tangible ones, to save the libraries in the city I live in or promote gay rights at a rally: offline events that can make a difference to the community. This entry was posted in online journalism and tagged karthikaswamy, Online News, personalized news, social media, social networking on August 18, 2009 by Paul Bradshaw. Other people have tweeted (or retweeted) the Guardian’s URLs 328,288 times over the last 4 months – way more than any other UK newspaper, according to my full analysis here. The FT and Times have more followers on Twitter than the Telegraph and Mail – but they’re not tweeted about as often. The Telegraph is in second place: 120,731 tweets by other people (ie excluding the Telegraph’s own accounts) have included a link to one if its URLs. The Daily Mail is 3rd with 95,851. This entry was posted in newspapers, twitter and tagged daily mail, FT, Guardian, Independent, social media, social networking, Telegraph, the sun, Times, Trinity Mirror, twitter on July 17, 2009 by Paul Bradshaw. Telegraph.co.uk gets an amazing 8% of its visitors from social sites like Digg, Delicious, Reddit and Stumbleupon, Julian Sambles, Head of Audience Development, has revealed. The figure explains how the Telegraph is now the most popular UK newspaper site. The Telegraph had about 28 million unique visitors in March, which means social sites are sending it almost 75,000 unique visitors a day. Search engines are responsible for about a third of the Telegraph’s traffic Julian also revealed – or about 300,000 unique visitors a day. This means the Telegraph gets 1 social visitor for every 4 search ones – an astonishingly high ratio. You can read more of what Julian said about the Telegraph’s social media strategy here. The statistics were originally given for an article on social sites on FUMSI. This entry was posted in newspapers, online journalism, user generated content and tagged delicious, digg, interactivity, reddit, social networking, Stumbleupon, Telegraph on May 11, 2009 by Paul Bradshaw.